If you polled your friends and asked what they thought threonine was, you’d probably be more likely to get a response of ‘a song by Tommy Tutone’ than ‘amino acid.’ Threonine was the last amino acid to be discovered and it is still largely unknown. But this essential amino acid provides a wide variety of benefits inside and out, from your brain to your skin. It is necessary to many of the body’s systems, including the immune, cardiovascular, digestive and central nervous systems. Amino acids are the building blocks of protein and of life itself. Out of 20 amino acids, nine are considered essential because the body cannot synthesize them and must be consumed. Threonine is one of those essential amino acids. Threonine aids in the production of other amino acids, including two called glycine and serine. These are essential to the production of muscle tissue, collagen and elastin. Threonine keeps all of our muscles and connective tissues strong and flexible. 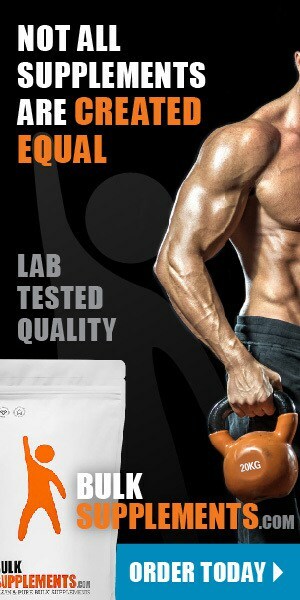 Included in the muscle category is the heart, and high levels of threonine can be found there. It is also essential for strong bones and teeth, and it can help speed recovery from injuries and heal wounds faster. In the liver, threonine combines with two other amino acids to digest fats. A deficiency can lead to a build-up of fat in the liver, which could eventually lead to liver failure. The immune system needs threonine in order to produce antibodies. The central nervous system also requires a lot of it, where it may help fend off certain types of depression. Dietary sources of threonine include meat, dairy products, mushrooms, leafy greens and grains. So long as you eat a balanced diet, deficiency is unlikely, but strict vegetarians and vegans may want to consider a supplement since meat is far and away the best source of threonine. One of the first signs of deficiency is sudden, severe mood swings and irritability. Other symptoms include confusion, digestive problems and fatty liver. 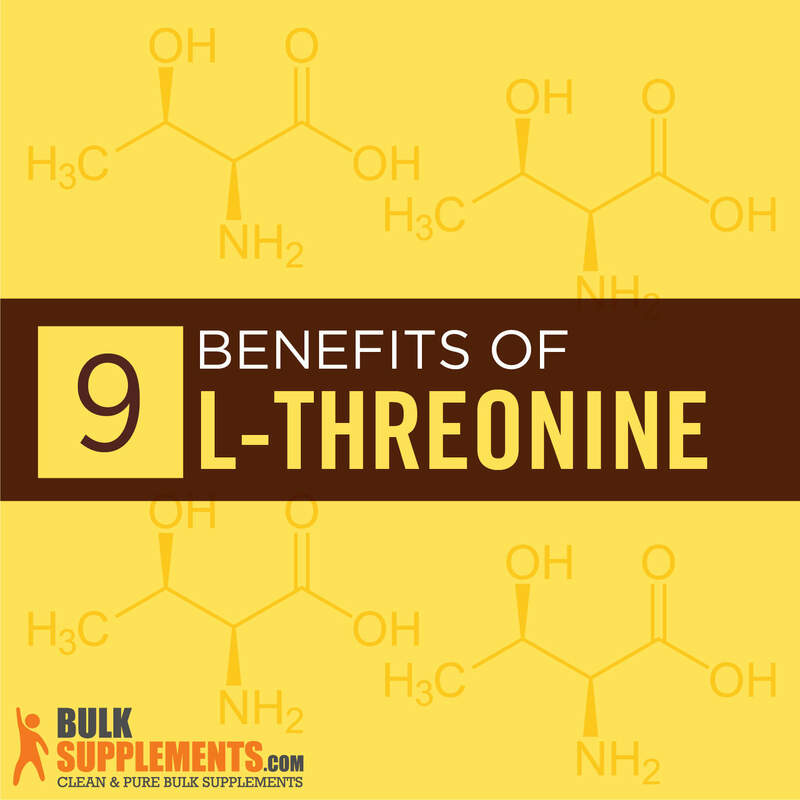 As with most things, you can find a variety of supplements of threonine, but the L-form is the only one that occurs in nature and the only one you should consider taking as a supplement. Threonine has a prominent role to play in the immune system. The thymus is a small gland that sits by your collar bones and it makes T lymphocytes (T-cells), which fight off infection. The thymus uses threonine to make T-cells. Threonine protects your digestive tract by producing a mucus layer that covers the digestive tract. It may sound icky, but the mucus provides a necessary barrier that keeps digestive enzymes from eating through your intestines. Studies have shown that low levels of threonine in animals result in digestive problems and lower immune function, and researchers believe this is due to a poor-quality mucus barrier in the gut. Insufficient threonine may also cause ‘leaky gut syndrome,’ an unfortunate but aptly-named condition in which allergens such as gluten are able to pass into the bloodstream and cause allergies. Not only does a threonine deficiency have a negative effect on the immune system, but it also results in reduced absorption of nutrients. The combination can lead to a whole series of other health problems. In the liver, threonine combines with the amino acids aspartic acid and methionine to break down fatty acids. Insufficient threonine can cause fat to build up and potentially lead to liver failure. Threonine is essential for the formation and maintenance of strong, healthy connective tissue. Other than water, collagen is the most prevalent substance in the body. It is literally everywhere inside us, strengthening our skin, bones, muscles and lines our arteries and digestive tract. Threonine is necessary for healthy collagen because it is the precursor to two other amino acids — serine and glycine — that make up collagen. Additionally, it helps to speed healing of wounds and broken bones. The central nervous system contains large amounts of threonine. Threonine supplements show some potential in treating ALS (Lou Gherig’s Disease) by elevating levels of glycine. A direct supplement of glycine is considered ineffective because it cannot pass into to the central nervous system. There is also some research that multiple sclerosis (MS), another disease that impacts muscle and nerve function, can benefit from a supplement of threonine (x). Still, other studies show that threonine can also improve mental health and help treat certain types of depression, particularly when it is the result of leaky gut syndrome or other food allergy-related causes (x). The most common mental health illness in the US is anxiety. It affects nearly twenty percent of the population — some 40 million adults. It is a serious concern, yet the World Health Organization has determined that less than half of sufferers get treatment. By increasing availability of the building blocks of neurotransmitters to the central nervous system, a threonine supplement can help alleviate anxiety and stress. Threonine has the humble yet crucial ability to aid absorption of nutrients, making the proteins we eat more readily available for use by the body. Celiac disease is an autoimmune disorder in which gluten causes the immune system to attack cells in the small intestine. Common symptoms include fatigue, irritability, diarrhea, cramps, bone and joint pain and unexplained weight loss. Consuming extra threonine can help alleviate these symptoms. According to the CDC, one-third of American adults get fewer than six hours of sleep each night. Threonine is not going to be the answer to all the sleep disorders out there. But when the origin of the disturbance is celiac disease, food allergies or other reactions to foods, it can help certain people get better sleep due to its assistance in re-lining the intestinal tract with the protective coating of mucus. Threonine is necessary to the production of vitamin B12. Vitamin B12 is key to your energy, mood, memory, heart health, skin and hair. Because threonine occurs naturally in foods, supplements are generally well-tolerated. Not much research has been done on the effects during pregnancy and breastfeeding, so women who are pregnant or are planning to become pregnant should probably avoid this supplement. Excessive doses of threonine may cause headache, stomach upset, nausea, skin rash and fatty liver. High doses can also cause an excess of urea to form, which can be toxic. Extremely high doses may disrupt liver function. The best sources of threonine are animal proteins such as beef, chicken, eggs and dairy products. Plant sources include beans, nuts, soybeans, Brussels sprouts, spirulina and seeds such as sesame and pumpkin. The usual dose is between 100-500 mg per day. Up to three 500 mg capsules can be taken in one day if required. Magnesium, vitamin B6 and niacin are also needed along with the threonine in order to synthesize non-essential amino acids including serine and glycine. An Alzheimer’s medication called Namenda (memantine) may interact with threonine, decreasing its effectiveness. Talk to your doctor before adding a threonine supplement to your health regimen if you are taking this medication. Amino acids like threonine are ‘essential’ for good reason. We would not be able to live without them. Threonine performs many vital functions from immunity to proper digestion to strong bones and glowing skin. While deficiency is rare, a supplement can help you radiate health.